There are more shades of grey in my apartment window than I can count, some might be considered non-grays, light blue, light black, grey-browns, grey-silvers, dark whites, blue-gray. Grey is so vague that the fact that I spelled it differently might not have even registered with you. In fact, the spelling of gray is not even agreed upon. Generally, U.S. writers use “grey” and the rest of English writers’ use “gray”. Just kidding, it’s the other way around, but did you know that? Perhaps you did. The meaning of something being gray, like its spelling, is ambiguous. It can be used as a forward thinking futuristic “Space Gray” iPhone color or to describe Japan’s “graying population” issues. Grayness is a term that, unlike, whiteness or blackness has no political meaning, it is therefore that gray can be invoked on any spectrum without causing much notice. I started thinking of the color gray when I was asked to write about “Whiteness”, not the color “white”, but the artifice of whiteness, the lack of diversity. After reading the first chapter of Sarah Ahmed’s “Racism and Diversity in Institutional Life”, it became an impossible task to write that particular description of whiteness without feeling like I had nothing to add. While I waffled around trying to find a way to write about it, I remembered the story I heard about Johnny Ive and Steve Jobs trying to find the perfect white color for the first iPod. 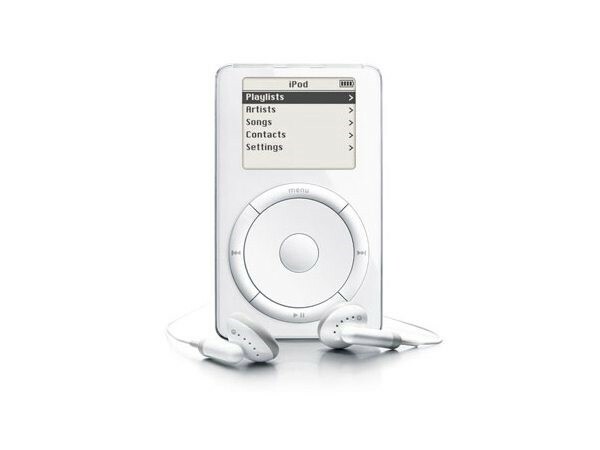 It was to be white, and they had a huge amount of variations of the color white mixed to find the right white for the iPod, it also applied to the white earbuds became a commodity that indicated to others that you had the means to acquire an iPod. The distinction between white is often almost impossible to tell unless it is under different light. I remember renting an apartment on an overcast day and moving in on a sunny day, and the living room and kitchen were actually two different shades of white. Figure 1. 1st Generation iPod (Released October 23, 2001) Apple Computer, Inc. This would invoke the Hex color code #808080 according to the World Wide Web Consortium (W3C) standards. The RGB component of those codes is Red 50%, Green 50% and Blue 50% and it would render as the first square of figure 2. Personally, that seems more like a dark gray. But hey, gray is up to interpretation. Unless you are a member of the W3C committee, in which case #808080 is gray. To complicate things a bit further, #808080 itself is part of the agreed tints and shades of #ffffff (white) and #000000 (black). So, while the W3C standards are pretty clear, the truth is that these are only the “web safe” colors. Using hex or RGB you can create a huge number of grays and while they won’t be web safe (a.k.a. they won’t appear as “true” on every single device they are rendered on), they are increasingly “safer” to use as web browsers and device standards become more cross compatible. And while using gray is far from limiting, and actually the topic itself within the context of confined to art history is endless, from the gray hues of black and white photography to the somber gray tones in renaissance and baroque paintings and even in contemporary art’s fascination with concrete within sculpture. In the last few years brutalist architecture made a huge comeback, the style relies on the virgin concrete structures which according to editor of the Phaidon book Atlas of Brutalist Architecture “People [on Instagram] were excited about it and loved the graphic quality of it [brutalism].” The symbolism of this recent embrace of the previously reviled brutalist buildings points towards a trend of experiencing life from a distance. The aesthetic quality of images now surpasses the in-person gestalt of the actual object. We could define this experiential quality as the gray area between McLuhan’s hot and cold media, the point of inflexion of a trend now requires a critical mass of low effort interaction from social media users. In this context, the viewer and the content provider both depend on each other to exult something that is untenable for either. Further examples would be trends such as #cabinlife or other adventure trends that rely on disconnection from social media to actually enjoy or experience, and yet most participants enjoy the results aesthetically from the confines of their own existence. The aesthetically communicated feeling of orderly and clean from brutalism is in contrast with the cozy quality of #cabinlife, but the underlying low-effort enjoyment is similar. There is no need by the user to trek through the snow or to deal with cold concrete. The less we feel choose to touch the texture and true color of something, the sooner we accept the hexadecimal version of it. As we drift further and further into the digital embrace, the shades of gray become more indistinguishable from each other until we are left with only the defaults. Figure 3. 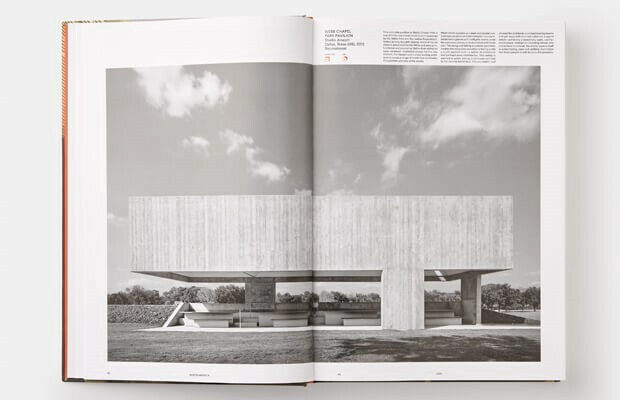 Atlas of Brutalist Architecture, Phaidon Editors, 2018. The rich history of gray, is in itself a history of ambiguity, of shifting understandings. From the marking of poverty of the undyed wool to elegant dresses of the 18th century, gray is defined as much by what it is as by what it is not. It is a vessel of austerity, representing through what it lacks the idea itself of not having or of abstaining from something. It is abstinence from unbridled joy and exuberance, represented via its demure hues. It’s cold and stern, yet graceful. It is the quiet hum in the background, the soft texture of depth. Grayness is in-betweenness because it is the substance of something else, not itself alone. Like the baroque paintings that relied of hues of gray are used to represent volumetric shapes and shadows, giving it a texture far beyond want a stronger color could provide. In the same way that the raw concrete of brutalist architecture itself depicts the uneasy feeling of something being extremely solid and yet somehow unfinished. Grayness is the vessel and the content, it pushes us to question completion, enough, fulfillment. No one has ever said, “I’m feeling rather gray” when they are down. The complex relationships of language upon our understanding of our surroundings means that we create similes that are often at odds with our feelings of those same surroundings. Gray is like a type of silence, the silence that you hear when others aren’t around, it is not a complete lack sound or emptiness, but the lack of other noise. There is poetry in the different kinds of silence, and like the shades of gray the shades of silence are open and textured, cold or warm, coarse or smooth. The shades of gray are the base and the structure, the rivets and the holes, it is the matter that surrounds and is surrounded. In architecture as in painting the feeling of space can be imperceptibly tactile, and grayness allows for that subtle underlying aesthetic structure to be built upon. It is within the confines of imagined spaces that gray plays its most symphonic, they are the sparse like a small vibration of a long ago played note, it encompasses and breathes around us while we wait for the next note. Gray allows for the airtight quality of space flows forward and backward, for grayness is doing the double duty of representing the past and the future at the same time. Clean and modern lines of concrete and steel buildings and the soft hues of black and white film photography are pulling in opposite yet parallel directions, for they are unified by the aesthetic quality of neutrality, of vesselness.